Charities operate in an environment that is increasingly complex. 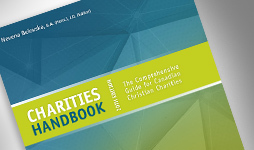 The Charities Handbook provides a comprehensive reference tool to help boards and staff navigate through legal and accounting issues. 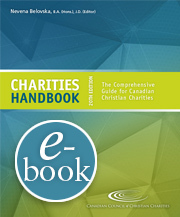 Many of the issues addressed in this book have been raised by the more than 3,300 member organizations of the Canadian Council of Christian Charities. CCCC members receive a free download of the e-book with membership. When you purchase an e-book, you will receive a link in your email receipt to download your e-book file.